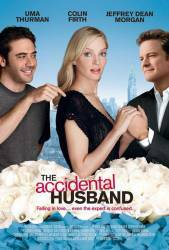 Continuity mistake: Early in the film, there is a scene where Uma Thurman and Colin Firth are in their bedroom and he brings her a cup of coffee. He places both cups on a tray then places it on the bed and frequently in the scene, the cups change from either being side by side, or one placed inside the other. Emma: You can't find something if you don't know what you're looking for.